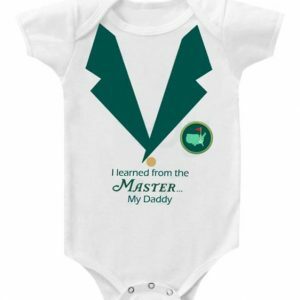 Start your sweet “little golf pro” off with thoughts of wearing that Green Jacket right from the start, plus it doesn’t hurt to remind her where all those great winning golf habits come from…Daddy!! 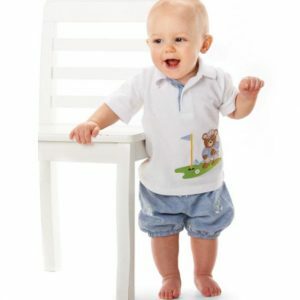 Sparkling, glam, faux lapel “green jacket” onesie with matching sparkling fun “Masters” faux logo made of comfortable and cool 100% cotton. 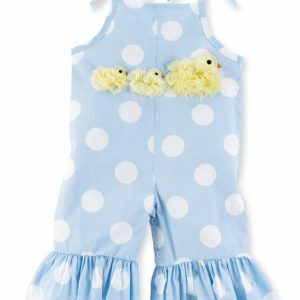 Start your little golfer off on the cart path of golf life on the right foot, with her first “Masters” Baby Girl Golf Outfit. 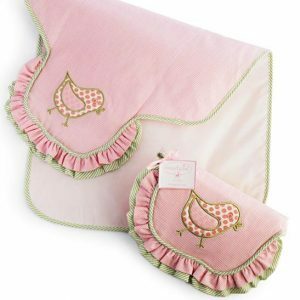 Easy care 100% cotton keeps baby cool on those tight shots. Snaps make for easy changes at the clubhouse turn. 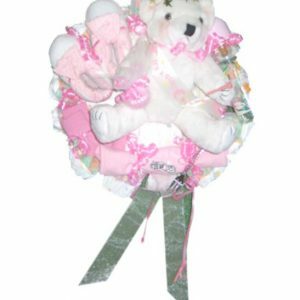 Available in size 0/6 months. 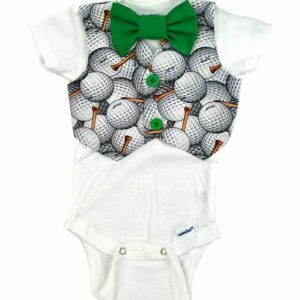 Great starter gift for the little “Master” golfer. *Note: All Shipping prices are for ground shipment in the continental U.S. Add $5 in the shopping cart if you prefer US Postal serveice Priority Shipping. 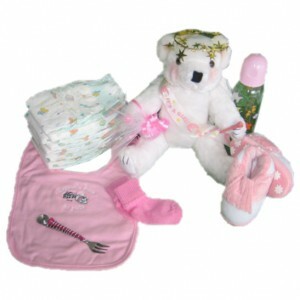 Categories: Baby Girl Golf Gifts, Best Selling Baby Golf Gifts.